Liverpool Cathedral Constables is a newer force. Their shorter history in no way detracts from the constables’ sense of duty and commitment to their Cathedral. 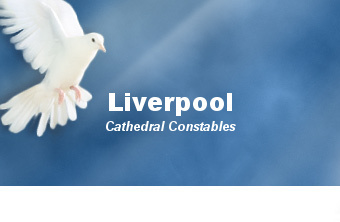 Indeed, being located in one of the country’s major urban centres, ensures that the constables of Liverpool Cathedral certainly have their work cut out. Today, the Cathedral employs 10 constables, managed by a head constable. Their uniform comprises white shirt, black tie, black combat style trousers and a high visibility jacket with the words ‘cathedral constable’ emblazoned on the back. Officers are distinguished by wearing a four digit numeral on their epaulettes’. Officers are also equipped with a traditional police tunic and trousers for ceremonial duties. Protection vests are available to all constables, but only attested officers are permitted to carry personal protection equipment. 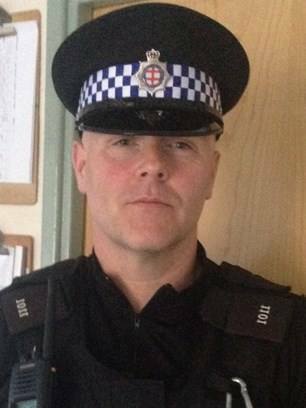 These officers also wear a peaked cap with a royal blue and white chequered cap band. The constables provide a 24/7, 365 day service. In addition to patrolling the Cathedral and its environs, monitoring and controlling parking, and ensuring the safety and good conduct of visitors, the constables patrol the grounds of the neighbouring college campus. The constables are managed by the Head Constables, who in turn reports to the Cathedral's Inspector of Constables. Major Incidents: For much of their time constables go about their business quietly, dealing with queries from visitors, and supporting other key staff in the efficient running of the Cathedral. However, officers have had to deal with several major incidents, including suicides. Dealing with such incidents is rare, but their impact can have a lasting effect on those officers touched by them. Officers at York Minster and Liverpool Cathedral have dealt first hand with incidents of suicide. Cathedral constables must be ever vigilant to avert future tragedies. Fortunately, most incidents they deal with are generally minor. Thefts from collection boxes, lost children and minor altercations with visitors are more common place. Major Events: The Cathedral also has its fair share of visiting dignitaries. The Queen, Prince Charles, the Dalai Lama, Tony Blair and Paul McCartney, have all visited the Cathedral in recent years. Such occasions require the constables to work closely with Merseyside Police, Special Branch, Royal protection officers, government departments, and the various Royal households. These events take a great amount of planning, and the constables work at a heightened level of vigilance, conducting security sweeps of premises, and helping to identify good vantage points for the police and other security personnel. It is at these times that the Cathedral’s ‘state of the art’ CCTV monitoring system proves its worth. Constables are able to monitor all of their cameras simultaneously, zooming in for a closer look at the touch of a control, identifying any suspicious characters or potential hazards. The Queen's Visit: One of the biggest and most prestigious events the constables have policed occurred on 8 April 2004, when Her Majesty The Queen, accompanied by HRH Prince Philip, presided over the Maundy Thursday ceremony. It was the first time the ceremony had ever been held in Liverpool. Fortunately, it proved a very successful, if somewhat exhausting event, for the constables on duty that day. The Dalai Lama's Visit: In fact, 2004 was a very busy year for prestigious visitors. Along with The Queen, the Cathedral also welcomed the Dalai Lama in this year. 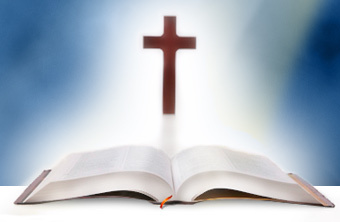 He preached to a congregation of over 2000 people from across the religious spectrum, another truly memorable event. 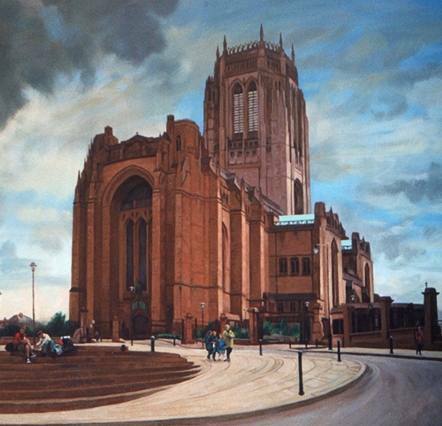 The Dalai Lama singled out, 'The Mersey Miracle,' in which a city, framed by two notable cathedrals belonging to Anglican and Catholic communities, had succeeded in melding a sense of mutual respect and tolerance for further denominations. Sentiments and values shared by us constables. Any event, which attracts large gatherings of people or important dignitaries, is a potentional target for acts of terrorism or public disorder. To this end, the constables share their in-depth knowledge and resources, with those vested with protecting public safety. Sadness: There are some occasions which have a long lasting impact on all those who work at the Cathedral. One such occasion occurred on the 6 September 2007, when the city of Liverpool saw thousands of mourners gather for the funeral of murdered schoolboy, Rhys Jones. 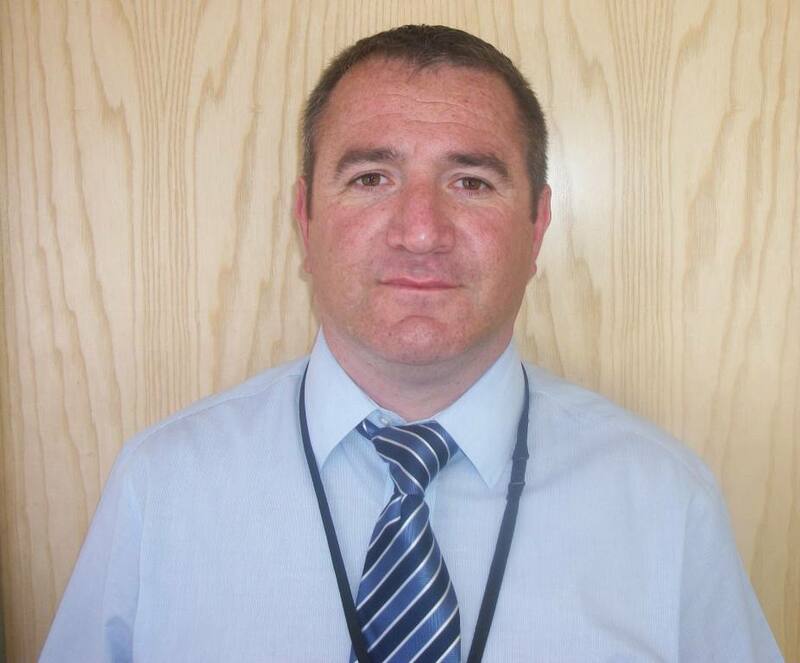 His murder saw an unprecedented outpouring of national grief, but it also brought disparate communities together, unifying them in their determination to see gun crime driven from the streets of Liverpool. In recent times, the Cathedral has also been used for the funerals of servicemen killed while on active duty. On these sad occasions, the constables on duty, as a mark of respect, wear dress uniform. Smart in black police tunics, the constables oversee security arrangements; ever mindful of the need to maintain safety and good order with quiet and respectful resolve. Hillsborough Disaster Disclosure Report: Probably the biggest event, which the constables have policed, was the publication of the disclosure report into the Hillsborough disaster. The independent panel, chaired by the Bishop of Liverpool, had sifted through some 400,000 documents, many never previously disclosed. 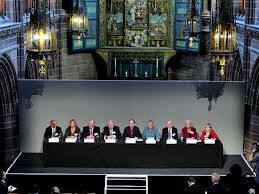 The event, organised by the Home Office, to disclose the new evidence and information to the families and survivors, was held at the Cathedral on Wednesday 12 September 2012. It was also attended by hundreds of TV cameras and reporters, keen to have their story. However, at the request of the families, the Home Office decided that no police or stewards should be present. The police's involvement in the disaster has been well documented and a cause of great distress to the families and survivors. It was therefore agreed that the event should be policed by the Cathedral's constables. On the day itself, the eight constables, plus the head constable manned all entry points and doors to the Cathedral; rigorously checking the identity of all who entered, they ensured that none of the media present had access to the families and survivors without expressed permission. Through their extensive CCTV network, the constables also monitored events internally, just in case there were any public order incidents within the Cathedral itself. Arriving for 06:00, the constables worked through the day without a break, before finally finishing some 12 hours later. The constables proved to be very effective in ensuring that the media was kept at arm's length from the families, thereby maintaining their privacy at a time of great personal grief and loss. Although the day proved challenging for the constables, their low key approach helped maintain the dignity of the occasion, with no public order incidents reported. 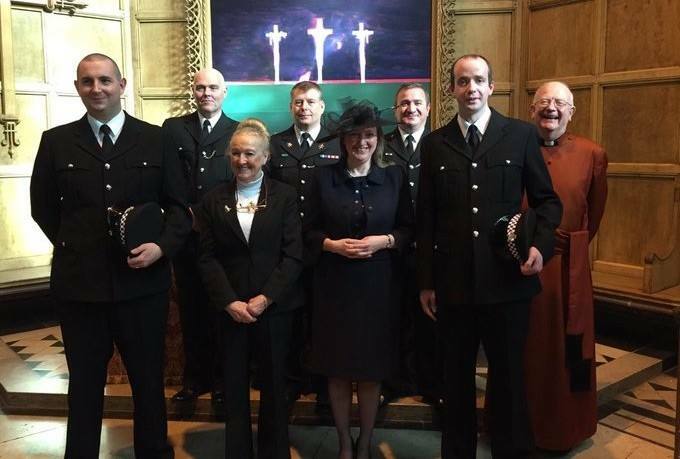 Several of the constables were personally thanked by the Bishop of Liverpool and/or the Cathedral's Dean for the excellent job done.